Bankruptcy law has a quirky little thing going on with trademarks. But let’s back up a little and put some context to it. Under Bankruptcy Code § 365(a), the trustee for a company in bankruptcy has the option of rejecting or assuming executory contracts or unexpired leases. This is a fundamental need for a company undergoing a restructure or liquidation; it’s how the company gets out from under burdens that contributed to its bankrupt condition and it permits the trustee to capture the most value when liquidating assets. In Lubrizol Enterprises, Inc. v. Richmond Metal Finishers, Inc., 756 F.2d 1043 (4th Cir. 1985), the Court of Appeals allowed a patent owner to reject a patent license and strip the licensee of its ability to practice the patents. This was beneficial to the bankrupt estate because the estate could then license the patents on more favorable terms. But when an intellectual property license is terminated it can be devastating to the licensee’s business if its business relies to any substantial degree on using the licensed intellectual property. The purpose of the bill is to amend Section 365 of the Bankruptcy Code to make clear that the rights of an intellectual property licensee to use the licensed property cannot be unilaterally cut off as a result of the rejection of the license pursuant to Section 365 in the event of the licensor’s bankruptcy. Certain recent court decisions interpreting Section 365 have imposed a burden on American technological development that was never intended by Congress in enacting Section 365. The adoption of this bill will immediately remove that burden and its attendant threat to the development of American Technology and will further clarify that Congress never intended for Section 365 to be so applied. S. Rep. No. 100-505, at 1 (1988), reprinted in 1988 U.S.C.C.A.N. 3200, 3200. (F) mask work protected under chapter 9 of title 17. Finally, the bill does not address the rejection of executory trademark, trade name or service mark licenses by debtor-licensors. While such rejection is of concern because of the interpretation of section 365 by the Lubrizol court and others, see, e.g., In re Chipwich, Inc., 54 Bankr. Rep. 427 (Bankr. S.D.N.Y. 1985), such contracts raise issues beyond the scope of this legislation. In particular, trademark, trade name and service mark licensing relationships depend to a large extent on control of the quality of the products or services sold by the licensee. Since these matters could not be addressed without more extensive study, it was determined to postpone congressional action in this area and to allow the development of equitable treatment of this situation by bankruptcy courts. Which brings us to a recent decision by the Seventh Circuit, Sunbeam Prods Inc. v. Chicago American Mfg. LLC. 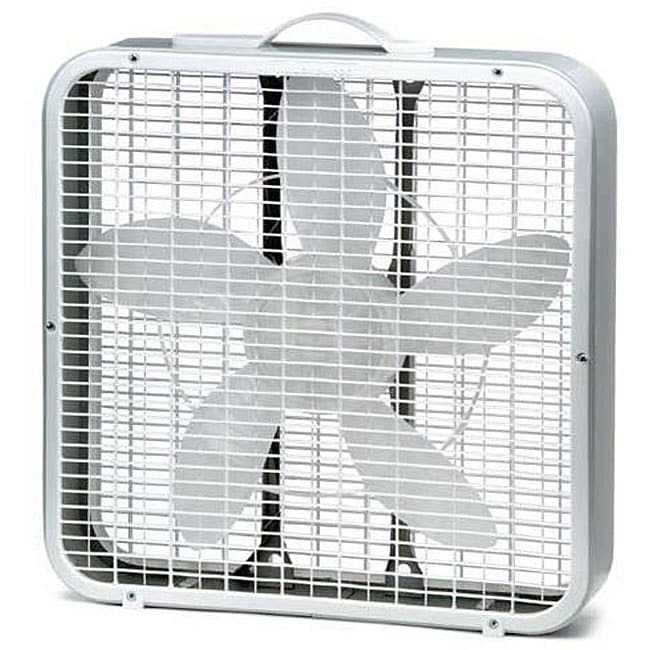 The bankrupt company, Lakewood Engineering & Manufacturing, had granted a patent and trademark license to defendant Chicago American (CAM) to manufacture box fans. Because Lakewood was in financial distress, it also authorized CAM to sell the run of box fans for CAM’s own account if Lakewood didn’t buy them. Three months later Lakewood was put into involuntary bankruptcy. The trustee sold the assets of the business to plaintiff Sunbeam Products d/b/a Jarden Consumer Solutions. Because Sunbeam didn’t want the inventory or for CAM to sell the fans, the trustee rejected the contract. CAM sold the fans anyway, so Sunbeam brought an adversary action. The bankruptcy judge held that under § 365(n) CAM could practice Lakewood’s patents and that, as a matter of equity, CAM could also use the trademarks on the fans. Sunbeam appealed and the appeals court had to decide what the absence of “trademarks” in § 365(n) meant. Outside of bankruptcy, a licensor’s breach does not terminate a licensee’s right to use intellectual property…. CAM had bargained for the security of being able to sell Lakewood-branded fans for its own account if Lakewood defaulted; outside of bankruptcy, Lakewood could not have ended CAM’s right to sell the box fans by failing to perform its own duties, any more than a borrower could end the lender’s right to collect just by declaring that the debt will not be paid. What § 365(g) does by classifying rejection as breach is establish that in bankruptcy, as outside of it, the other party’s rights remain in place…. Consider how rejection works for leases. A lessee that enters bankruptcy may reject the lease and pay damages for abandoning the premises, but rejection does not abrogate the lease (which would absolve the debtor of the need to pay damages). Similarly a lessor that enters bankruptcy could not, by rejecting the lease, end the tenant’s right to possession and thus re-acquire premises that might be rented out for a higher price. The bankrupt lessor might substitute damages for an obligation to make repairs, but not rescind the lease altogether. [R]ejection is not the functional equivalent of a rescission, rendering void the contract and requiring that the parties be put back in the positions they occupied before the contract was formed. It merely frees the estate from the obligation to perform and has absolutely no effect upon the contract’s continued existence. The appeals court therefore affirmed CAM’s right to sell the fans under the Lakewood brand. What’s puzzling about the the decision is that, by its reasoning, there was never any need for § 365(n) in the first place. But the “breach” argument wasn’t made in Lubrizol, and the statutory change was enacted fairly quickly, so perhaps it was indeed simply a patch that wasn’t necessary. I’m also curious about the original justification given in the Senate Report for not including trademarks. Indeed, a trademark licensor must have broad latitude in picking and choosing its licensees, but in the case of a licensor bankruptcy (the only situation to which § 365(n) applies) the licensee, who was acceptable to the licensor, remains the same. I don’t have a problem requiring an acquiring company to keep the same, nonbreaching licensee that had heretofore contributed to the goodwill of the mark. Indeed, while doing so may limit the acquiring company’s use of the mark for different goods in the short term, the law of tacking requires no less. Sunbeam Prods Inc. v. Chicago American Mfg. LLC, No. 11-3920 (7th Cir. July 9, 2012). Another summary here.